Clearance Sale: **READY TO SHIP** Check to see if your choice of size and finish are available! Please enter your size (from the available sizes above) in the 'Notes to Seller' section during checkout. Minimalist handcrafted rings with a statement. 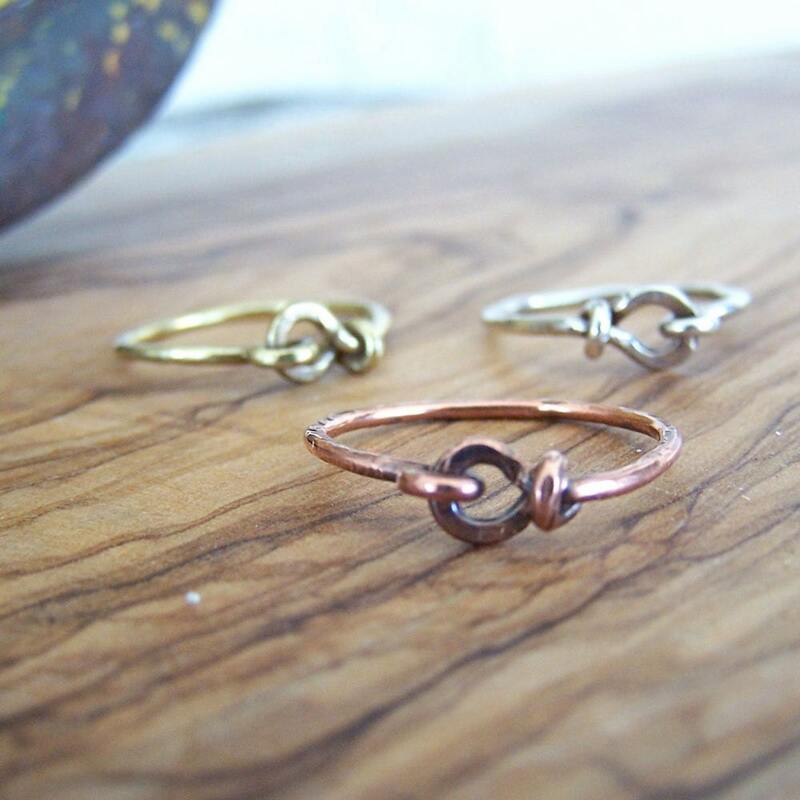 Hand forged rings are shaped, textured, hammered and polished for strength and shine. 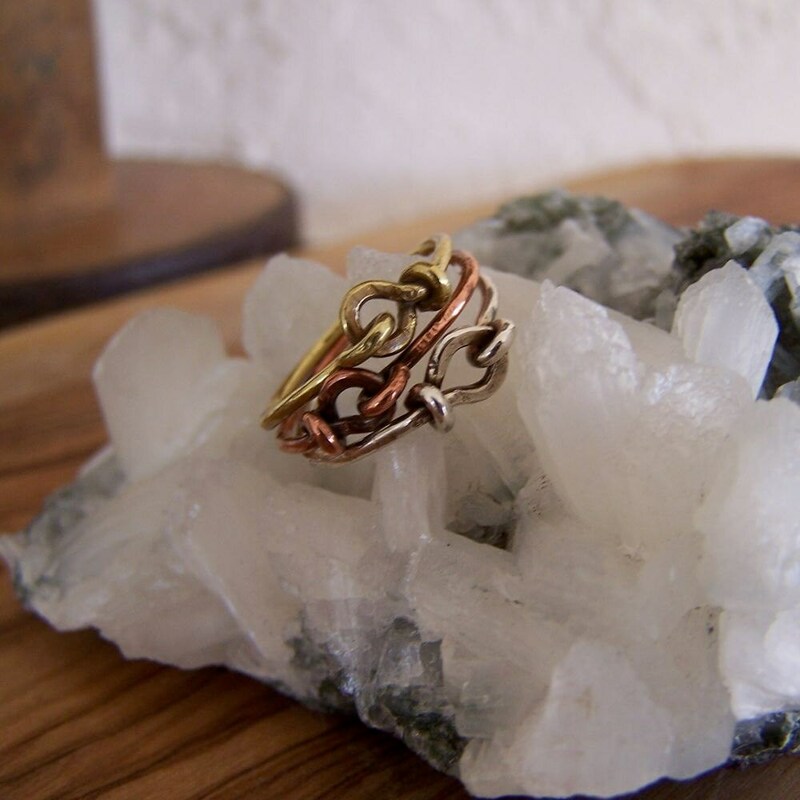 Available in jeweler's brass, natural copper, and sterling silver. 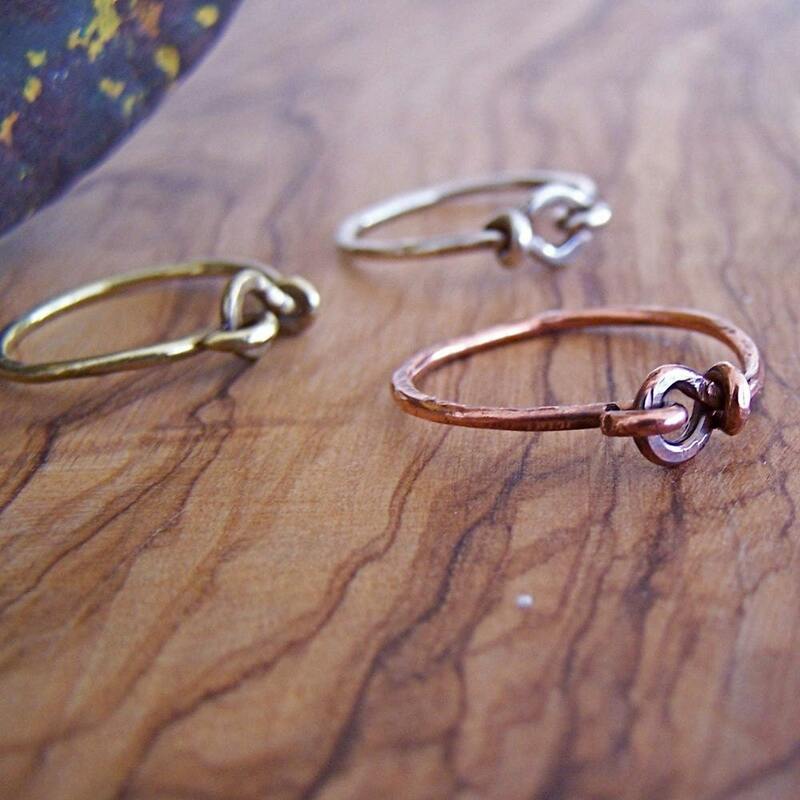 Copper and brass pieces will darken to a lovely patina. Your new ring will arrive wrapped and ready for gift giving.